Booking a Ratingen airport taxi can be as easy as clicking a few buttons. That’s right, at BetterTaxi, you can find a taxi quote and book your ride all in one place. Air travel is hectic, and after a lengthy flight, the last thing you want to do is figure out transportation to your hotel. With our taxi booking service, you can find out the best rates and routes so you can arrange a cab that’s just right for you. Just grab your luggage, meet your driver, and go. No hassles. When booking a Premium or Business Class airport transfer you will get a reliable pick-up. This short overview describes the most important service elements. How and where will I find the taxi driver? 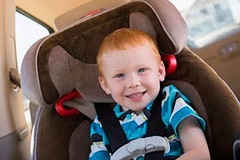 Can I get an appropriate child seat? Is it really the taxi van I ordered? 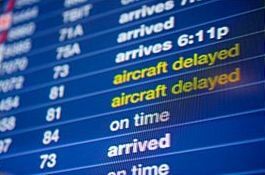 What happens if my flight arrives with a delay? 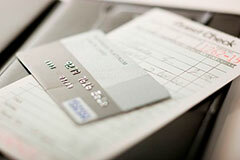 How does the payment and invoicing work? Based on your flight data the driver will check your arrival time and anticipate you with a name sign at the airport. Simply enter the scheduled flight arrival time as transfer start time of the booking form. Your driver will await you after the luggage claim area - in rare occasions at the airport "meeting point". The contact info of the taxi company will be sent together with the order confirmation ("ride dispatched"). For Premium or Business Class airport transfers extra seats for children older than one year of age can be booked at no extra fee. Please specify your exact requirements in the comment field when ordering. BetterTaxi taxi quotes were created to fit your travel needs whether you’re heading to your hotel or back to Ratingen airport for departure. Just give us your pick up or drop off destinations, arrival times, and flight numbers, and we’ll compare Ratingen airport transfers across the entire Germany. Let us know how many passengers, the amount of luggage, and the type of travel you’re doing so we can match you with the perfect vehicle for your needs. Whether you need a comfortable and spacious car for business travel, or an added child seat for a family holiday, we can provide it. Why choose BetterTaxi for your journey? At BetterTaxi, we understand that travel isn’t always fun. That’s why we go out of our way to make things simple, easy, and smooth. We take all the guesswork out of booking Ratingen airport transfers so you have one less step to worry about. We meticulously search the Germany for the most affordable taxi services, experienced drivers, and top notch vehicles to get you to your destination. Our standards are high, so you’ll never have to worry about the quality of your Ratingen airport travel. Choosing BetterTaxi means less work for you, and peace of mind that you’ll get where you’re going hassle free, every time.